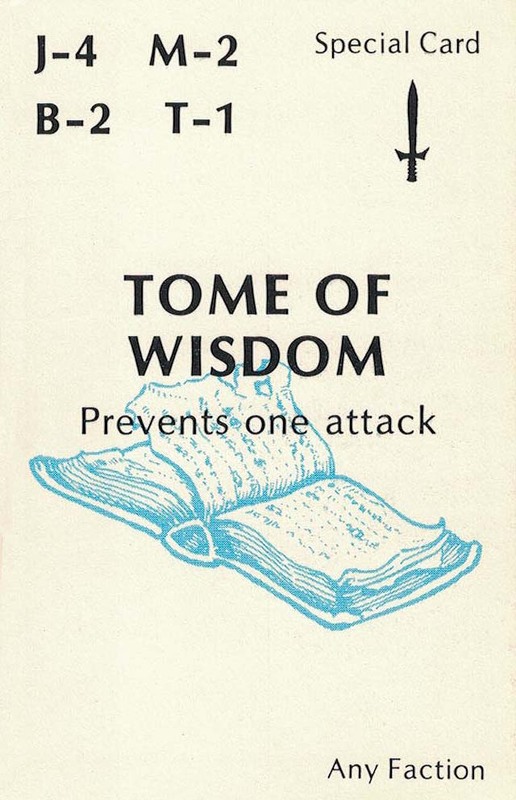 The “Tome of Wisdom” card in Jasmine: The Battle for the Mid-Realm collector card game. Ahearn had not traveled far into the cave when he thought he heard his name being called and echoed. Someone was aware he had entered the cave and knew who he was. He cautiously worked his way further inside until the space before him opened up into a sizable cavity. “How is it you know my name.” Ahearn asked him. The little old character wobbled closer to Ahearn and came to the height of his knees. “Oh no! I’m too late.” Ahearn sighed. Ahearn’s attention was immediately brought back to the blood stained floor. The old man told him that Bardulf stood on that very spot. And just as he did , had received similar news and answers to his queries. But Bardulf reacted with rage. He violently struck down the messenger with his weapon and quickly proceeded to butcher the little people nearest him. In a heart-beat, everyone scattered. Bardulf chased one who fled to an area containing the Tomb of Wisdom. Bardulf immediately halted when he noticed the opened book. When he recognized the book’s significance, he gained control over his blood lust. Dazzled, Bardulf put down his bloodied sword to read the pages, allowing the Chronicler to escape a bloody death. This entry was posted in Jasmine & Role Playing Games, The Creative Process and tagged Ahearn, The Guardian of Wisdom, The Tome of Wisdom on March 19, 2018 by Darlene.